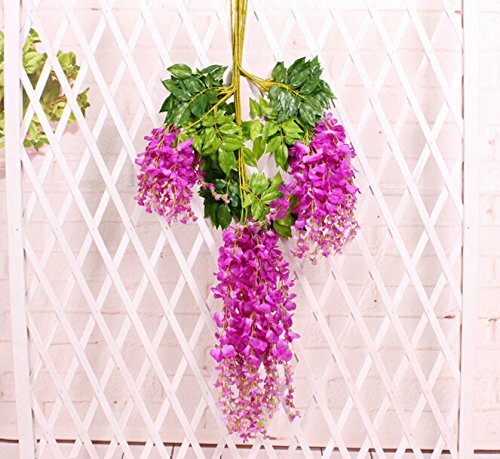 1×12 White Pea flowersSimple and Elegant,Pure Natural Style,can be DIY and easy installed. 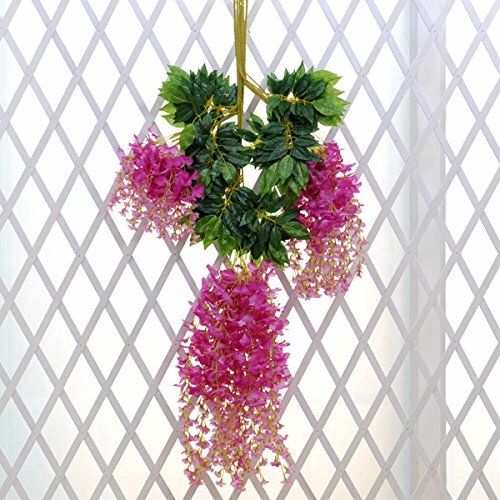 The wisteria flowers are made of high quality silk and easy to clean.Size:length about 110cm / 43.31 inch , Weight: 16 OZ . It made up by 12 parts and can let you have enough decorating spaces. Used for weddings,hotels,parties as well as other ceremonies, best decoration for home, hotel and park, etc. It is great for wedding bouquet, party , office decoration ,decor, altar, church ,corsages, pew bows, reception centerpieces You can hang it on the wall, doors, swing, mirrors and anywhere as you like to enjoy with artificial leaves vine.